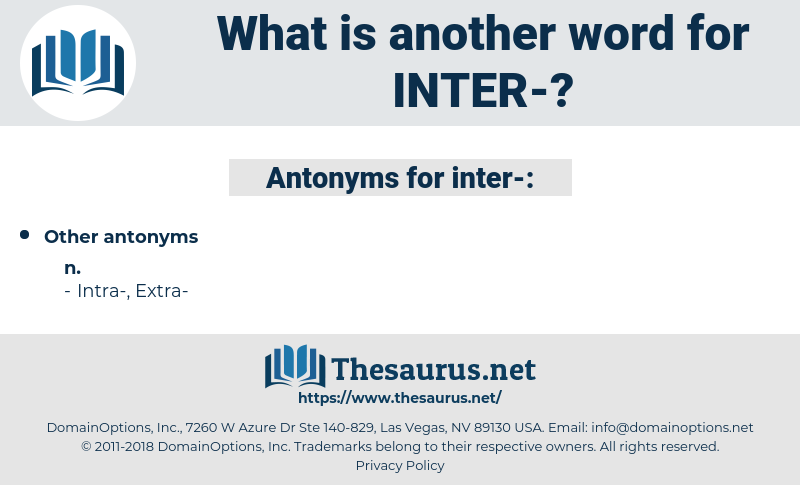 What is another word for inter? To bury:- pr. 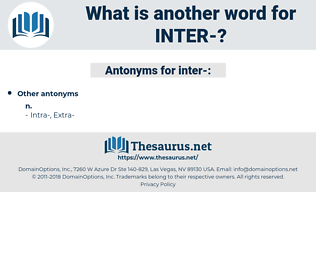 p. interring; pa. p. interred. Alia, together, apart, particularly, between. divulge, make known, raise, manifest, advertise, display, avow, publish, burn, confess, discover, bare, disinter, lay open, lay bare, admit, promulgate, show, expose, unearth, unmask, uncoffin, disclose, betray, uncover, unveil, exhibit, tell, reveal, cremate. Get back inter de cabin, honey! You - all ain't got no right ter sling hit inter the river, an', anyway, I ain't a - goin' ter let you.